Let’s spot a Yeti back home! I write this blog, especially for friends and Nepalese living abroad. I am a Nepali and I work in Bangalore, India. I went home in October 2015, my first visit since the quake. Houses are still standing in my neighborhood and that’s a blessing. 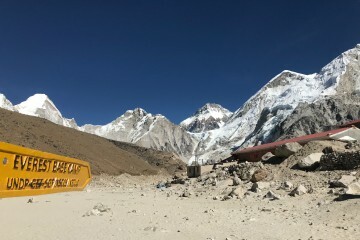 I couldn’t venture far and wide due to fuel unavailability but where I could, I reached on foot and.. that included a trek to Everest Base Camp, the longest walk and the highest climb of my life – an forgettable one. I’d like to take the opportunity to highlight some of the ways that re-vising home can help Nepal recover from the terrible events of 2015. 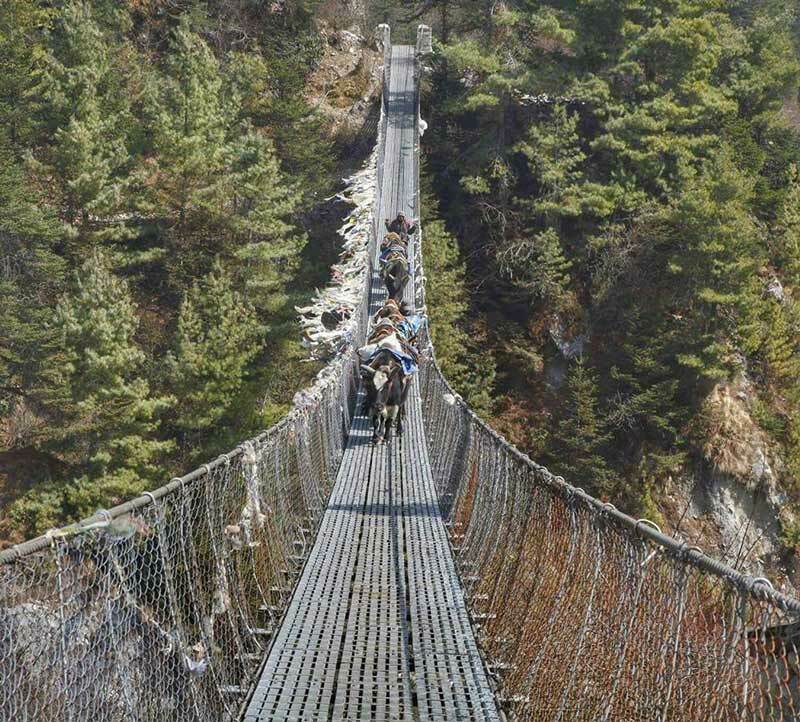 Of the 13 day trek to Everest Base Camp (EBC), 12 days were spent trudging through pine forests, scrubland, valleys and hills, glaciers, passing by rivers and stupas, under fluttering prayer flags and landing right into the lap of the Himalayan’s tallest peaks. Vast and majestic. That’s an understatement, for you do begin to feel like an ant with a colorful parka and two walking sticks. Helicopters will be viewed as pesky flies, buzzing their way through the deep valleys. The magnitude and the magnificence of the landscape will make up for the lack of oxygen up there and leave you gasping in awe (and not for breath, though in some cases, that too). 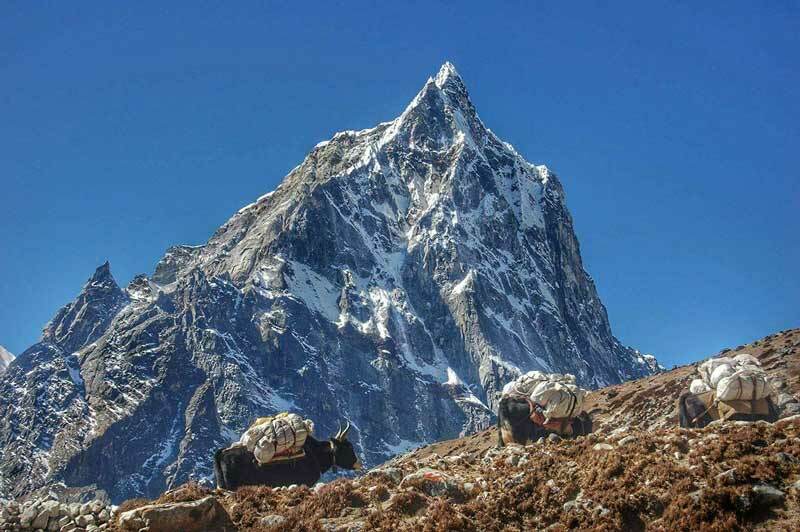 Nothing will prepare you for the stunning beauty of Khumbu’s higher regions, but you really need to come prepared with stamina and endurance. You will need them as you push yourself to greater heights. Buy local. 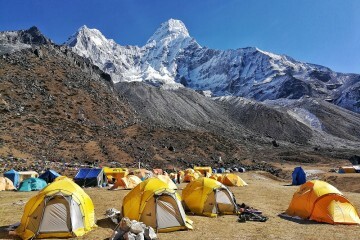 If you need to buy trekking gears and additional clothing, do your shopping/renting in Nepal. You help support local businesses. You save baggage space too on your international flights! For those with few days in hand before the trek, walk. Walk as much as you can around the city. If this is still lacking, you can also climb the stairs up to Swayambhunath temple every morning. There is both spiritual and health benefits in this! Trail mix. Carry enough so that you can share with your porter and guide as well. Always carry a valid ID Card. I carried my Nepalese citizenship card because many refused to believe I was a Nepali up there. (But it is a good idea whatever nationality you are). If your facial features don’t quite represent the country you belong to and the locals start talking to you in English (mistaking you for a foreigner) – speak to them your mother tongue, and turn the mistaken identity into a joke and laugh it off to avoid any embarrassment. Always engage a guide and a porter for your treks. You help provide employment. I enjoyed their company, their expert guidance and their knowledge of the region and its people. Without them, I wouldn’t have made it. And I really mean that. Thanks to my guide Shankar Banjara and porter Padam. Dherai dherai dhanyabad! 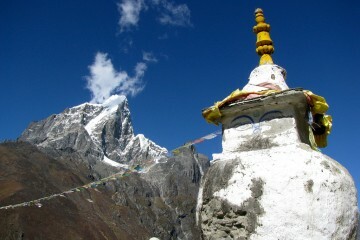 Engage in talks with other trekkers who have travelled across the world to be in Nepal. They love to hear about what you have to say about your country and understand Nepal through your perspective. You’d be surprised, sometimes, they know more! If you can, get a t-shirt that helps promote the country’s tourism. Mine said, ‘The Mountains are Calling… Visit Nepal.’ If not too much of a hassle, pass it around to other fellow trekkers and request them to take a picture with it, so that they can post it in their social media circle. You can buy them locally in Nepal or have it designed in a couple of hours. You may also come across schools, monasteries and non-profit organization in the villages you cross. Get an understanding of the situation (especially after the quake). Some will require a little help and the donation box is right there! You will meet quite a number of trekkers along the way. A smile will do. In case you’re on your return journey, greeting a fellow trekker on his way up – who is huffing and puffing through the steep ascent, is not advisable as they’d feel obligated to greet you back, when they can barely catch a breath. But in case they are very close to their destination, let them know they’re almost there. I found them very motivating as I closed in on my destination, uphill. Take as many pictures for your social sites. Sometimes, pictures speak a lot more than you. Get your online community curious. Review and rate your experience with the trek agencies, the guide and the porter. For Nepalese working abroad, your company’s blog page is the best place to share your experience and pictures. You can be your country’s ambassador in your workplace. Lastly, don’t forget to collect your certificate from the initial checkpoints as you exit. They hand you one for completing your trek or the circuit. I forgot to collect mine for my EBC trek! 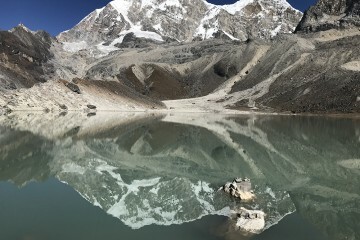 I hope on your next visit to Nepal, you venture out to explore the mountains, spot a Yeti and go back with a suitcase full of compelling stories. For those not too crazy about the mountains, remember we have Chitwan and Bardia too, and an unbelievable wealth of historic sites and World Heritage Sites in the Kathmandu Valley.